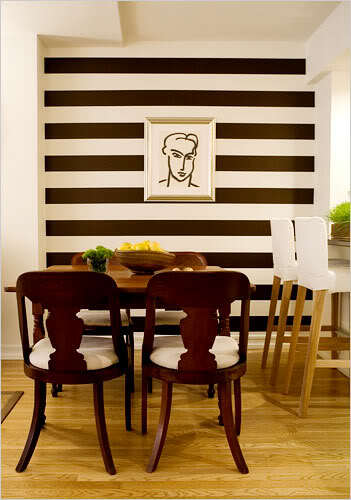 You’d be surprised how easy it is to incorporate some color and texture to your space using temporary wall treatments. I searched high and low and found a few ideas that I can’t wait to try! Please only pin the image above. If you love any of the ideas below please be sure to click over to the original source before pinning. 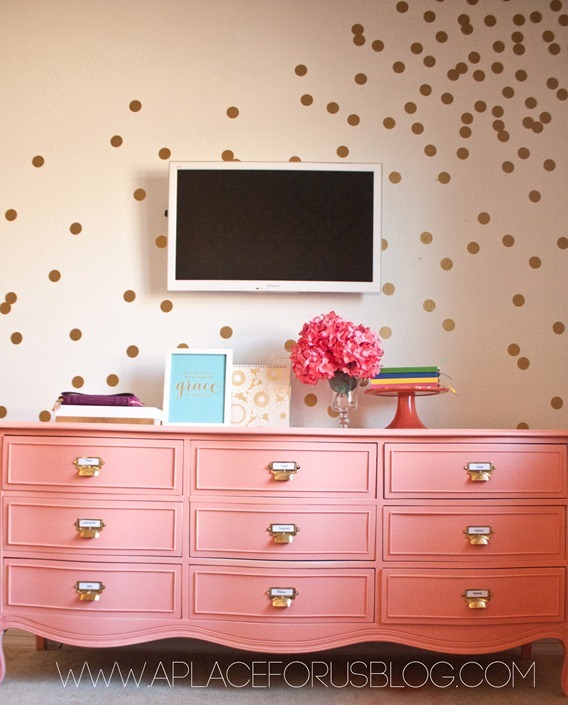 Destiny from A Place For Us used gold dots from Walls Need Love to create a cascading confetti effect on her wall. They are so fun and add just the enough color to complement her gorgeous coral dresser. It’s the perfect addition to the space. I also love this striped wall found on Little Green Notebook. It’s created by using dark brown vinyl strips. Strip walls are so popular but for a renter it can be a big commitment. This is the perfect solution to get that trendy look without committing too much time. A great alternative to wallpaper is fabric. Yes, believe it or not, fabric can be used as a temporary wall treatment solution. 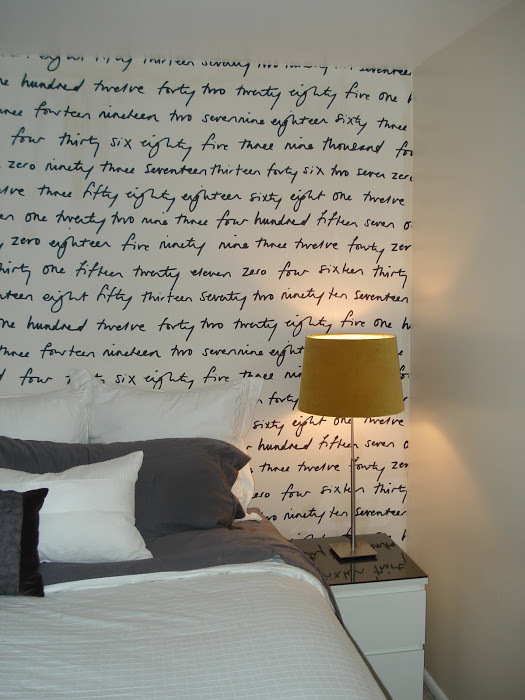 Check out Numbered Street Designs for a great tutorial on how to use fabric as a temporary wallpaper. Another fantastic replacement for wallpaper is wrapping paper! Wendy from Shabby Nest used wrapping paper to give her mudroom a custom look. I’d love to do something like this in my entry way! 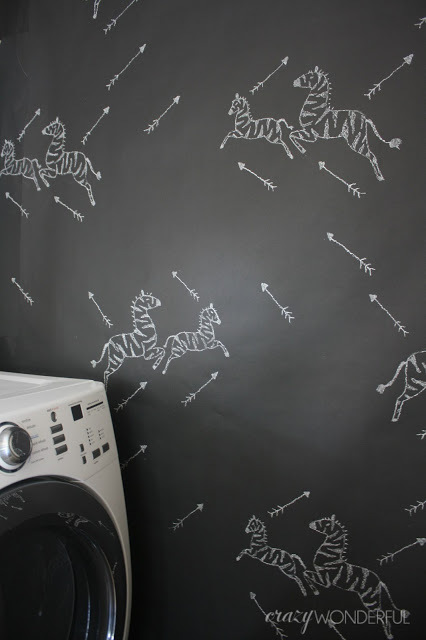 I’m completely smitten with this DIY “wallpaper” that Shelley from Crazy Wonderful created. You must click over to check out her tutorial but I will tell you, it’s something that anyone can create! You all know how much I love washi tape. 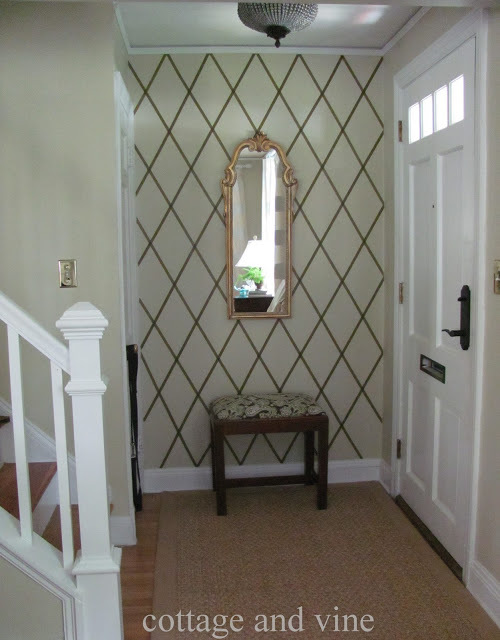 I love the idea of using it in a geometric pattern to create a focal wall like this one from Cottage and Vine. 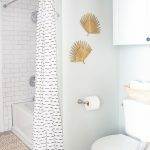 This washi tape striped wall from Boho Deco Chic is just darling. 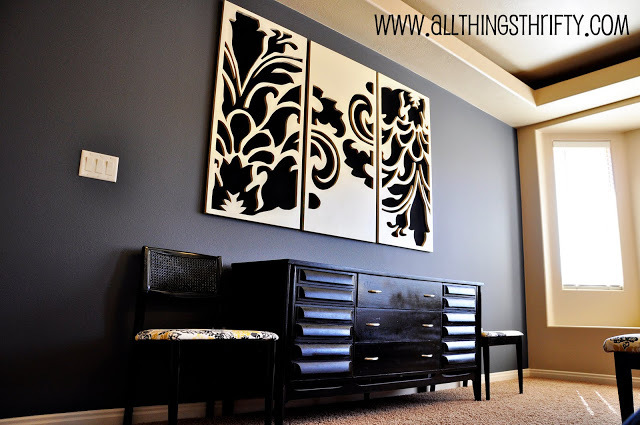 Oversized wall art that can cover up a good portion of the wall is a great alternative to painting or wallpaper. It allows you to hide the stark walls with pop of color. 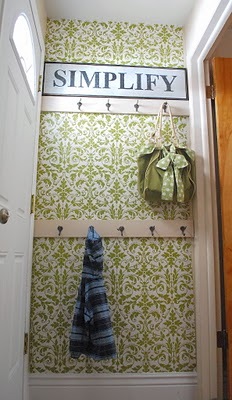 I love this wall art Brooke from All Things Thrifty created. 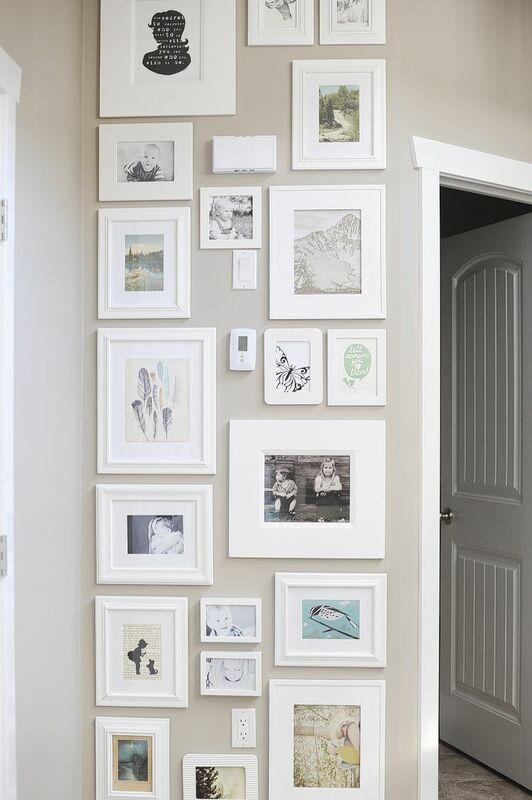 Another great way to hide those white walls is to create a gallery wall. This photo ledge from Two Twenty One gives a gallery wall feel without hammering in a dozen nails. (another renter win!) 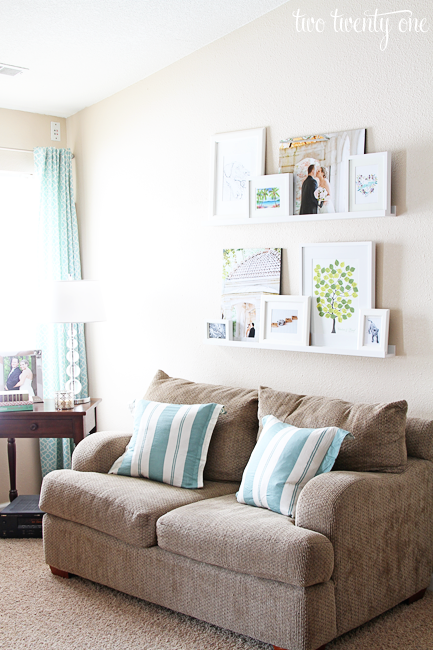 And if you want to commit to a full gallery wall this one from Jennifer Johner is great. It’s floor to ceiling keeping the focus on the photos. 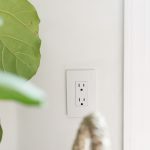 I also love how it works around the outlet and light switch. Super clever. Shelves are a great way to fill up a wall space while bringing focus to the your display and off the stark white walls. 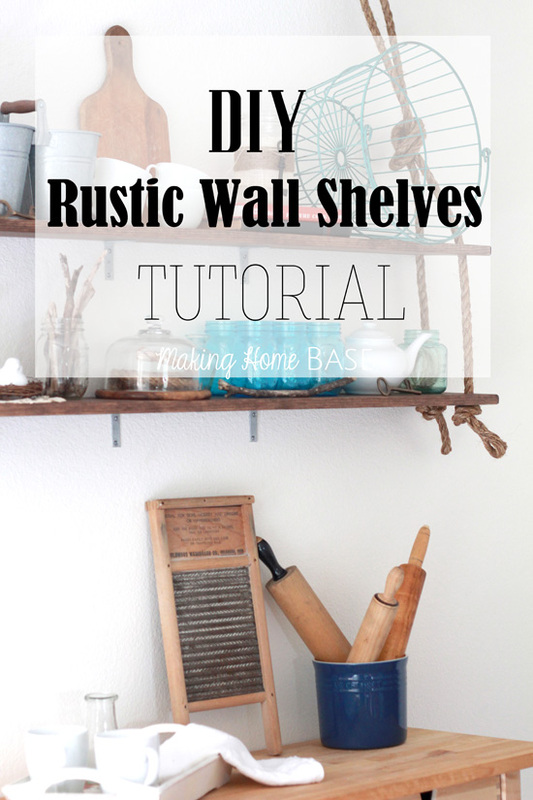 This DIY wall shelving is a great decorative addition that doesn’t require any permanent fixtures. You can check out this wall shelves tutorial here. There you have it, some excellent design ideas for temporary wall treatments. Which of these are you going to try? For more good ideas and DIY projects I love, be sure to follow me on Pinterest. Great ideas, Chelsea! LOVE that last gallery wall! There are some seriously stunning ideas here Chelsea, for renters or non-renters alike! I love that last stacked gallery wall with all the white frames and mats. I would love to incorporate something like that in our long hallway above our board and batten. I love the gold vinyl decal design too… that is so pretty and on-trend, yet easily removable! And so many fab ideas in between. Awesome collection- pinning! Thanks for putting all these great ideas in one place. 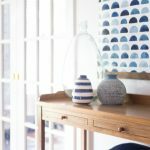 I am a renter and suffer through many of the same challenges! I popoed over from the Inspiration Exchange! Hey Chelsea! Thanks for the shout out! 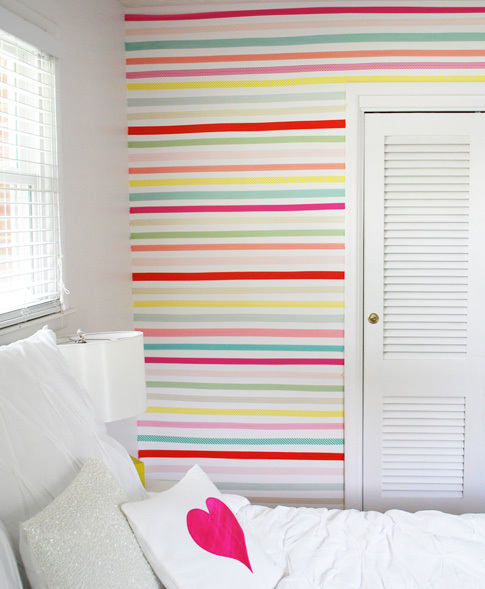 We love what Destiny did with our dots and the feature from the New York times that Jenny showed with our stripes! 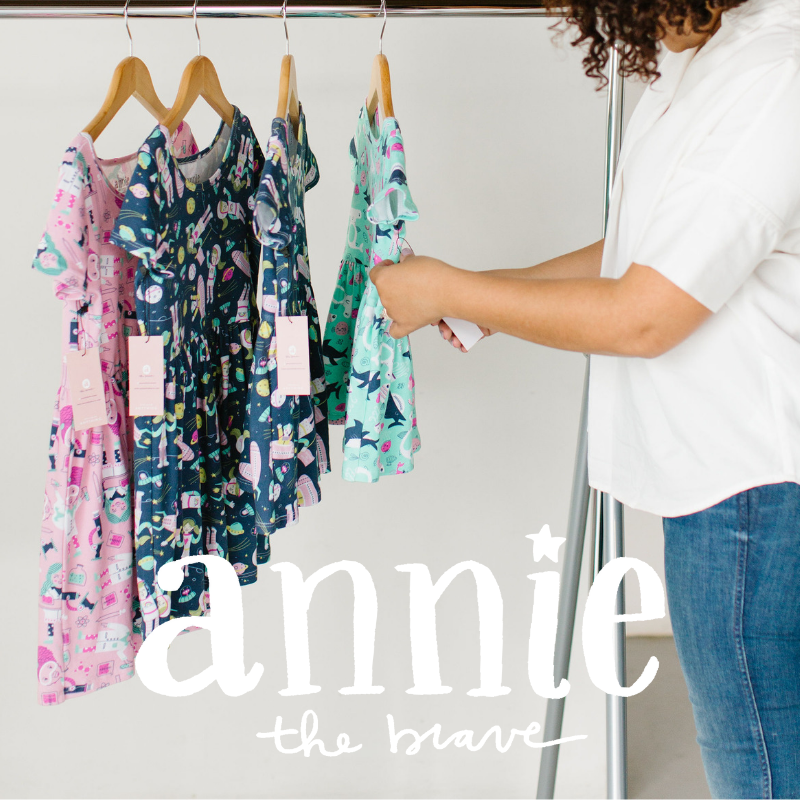 This is a really great collection and we’re glad to be a part of it! Have a great day 🙂 Yay! So many great ideas, Chelsea!! Love the masking tape diamond wall!! Anyone have ideas/links for a nursery/baby’s room for renters? Something easily and quickly removed, but beautiful/cute? We’re in a rental house right now, trying to save for a down payment for our own place. We just found out I’m pregnant, so we’ll be here for about 3 months after the baby is born. Thanks all! 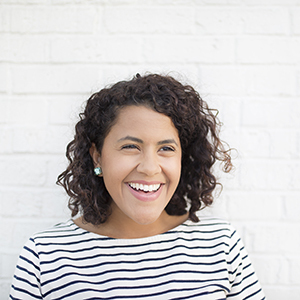 Love these- and not just for renters, either! I’m really taken by the black and white fabric with the numerals written out- anybody know what / how to source it? These are great ideas! We live in expat housing in Saudi Arabia and we’re not allowed to change the basic, white walls. I can’t wait to spruce things up around here now. Thank you so much for sharing. I love your blog. 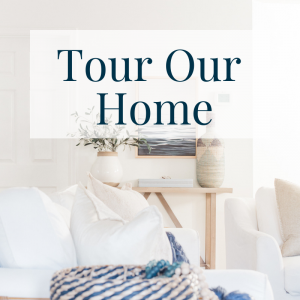 I happened to find your site through an image you pinned on pinterest of Destiny’s gold polka dot walls and I was so impressed I made sure to mention your blog as well as Destiny’s on my website. You have fantastic ideas. Great to meet you! 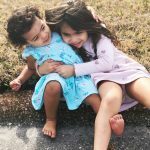 Hope you will stop by http://www.DIYDesignMom.com and say hello! Great Ideas. I love how you used fabric as a wallpaper. I am going to use it in my rent apartment. Thank you for sharing this fantastic ideas. Greetings! Love your ideas. Been in many well-done military houses. Got a kick out of the “basic as it gets”. 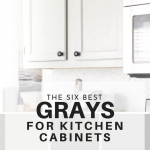 My first three base houses had asbestos tile floors, cinderblock indoor walls, and cabinets that did not match. When we got eggshell walls, tan carpeting, tile and oak kitchens, we thought we had finally reached normal status…and we were in officer’s housing. Oh wow Janeann! We’ve definitely had our share of really BAD housing. This one in particular is the best we’ve ever lived in. They are fairly new. Very “builder grade” everything but it’s a step up from the cafeteria tile we had in Hawaii. My favorite though was the restored housing we had in San Antonio – so pretty with original hardwood floors from the 30s. It was small but we loved it!